There is a lot of 30-off on 34th Street this weekend, like dresses for 30% off at Old Navy, 30% off all outerwear at H&M, and an extra 30% off all clearance items at jcpenney. Updated to add: Gap has an extra 30% off sale styles through tomorrow. In non-retail news, south of 34th Street should be getting power back at some point this weekend, but if you need to charge up electronics while in Midtown, B&H has you covered at 34th Street and Ninth Avenue (until 2pm today, closed on Saturday, back on Sunday). 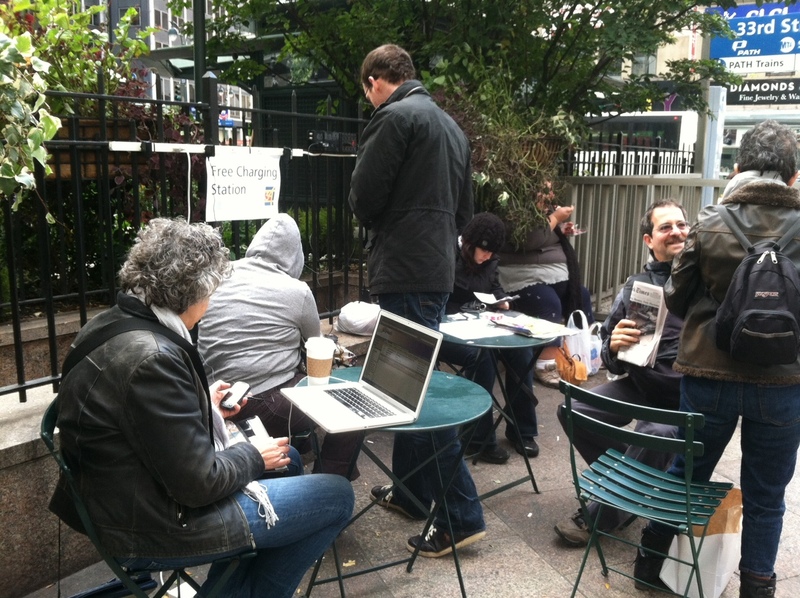 If you're closer to Broadway, stop by Greeley Square and hit up our charging station. While you're at Greeley you'll be able to stop by the 'wichcraft kiosk and get some coffee and sandwiches, as they re-opened yesterday. Take care, all, and I hope everyone has heat and power this weekend.